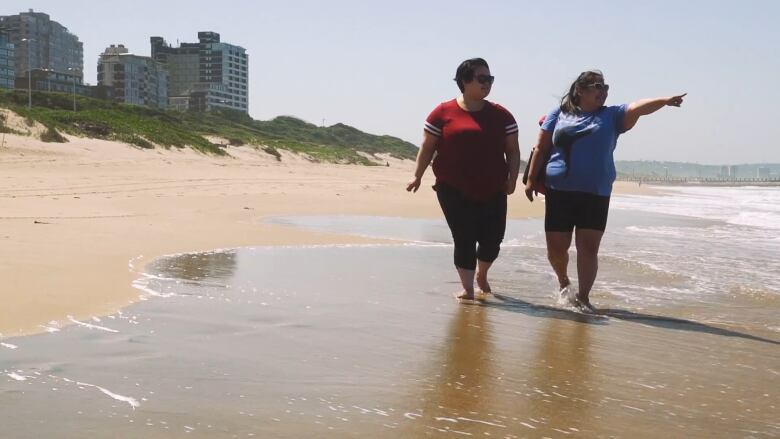 A program that sends Indigenous youth aged 18-35 to work with other Indigenous communities around the world is looking for more northern applicants. South Africa was the farthest Felicia Tugak had ever been from her home in Baker Lake, Nunavut. Last year, Tugak spent three months in Durban interning at a university. Her placement was funded by a nationwide program that sends Indigenous youth to work with Indigenous communities around the world. "To be honest I didn't ever think I would be selected, because what are the chances for one Inuk person applying, of all Indigenous people across Canada?" Tugak said. "I thought maybe I should just apply for the fun of it." The International Internships for Indigenous Youth program began in 2012, run by the Atlantic Council for International Cooperation (ACIC). This year, the Northern Council for Global Cooperation (NCGC) received federal funding to work with ACIC and expand the program to reach young people in the North. Brittney Potvin, NCGC's program co-ordinator, said that travel can be more challenging and expensive for people in northern communities. "We want to make sure that youth can access this kind of programming," said Potvin. "It can be a really life-changing opportunity, and geography shouldn't limit what you can and can't do." This year, the program will select 20 participants aged 18-35, and send groups of four to one of five countries: Cambodia, Costa Rica, Guyana, Kenya or Nepal. Most internships focus on areas of global development like sustainability, health and gender equality. Potvin said the interns become "ambassadors to their communities" while also helping the organization they work with. "The idea is that youth will go overseas and then they'll work on issues that are of course local, but they're also very relevant here in Canada," she said. This year's internships vary from working with women in textiles to developing robotics. In Kenya, interns will learn about drilling wells and water conservation. ​For her internship, Tugak worked as a media assistant at the University of KwaZulu-Natal in Durban. This included working with Networks for Change and Wellbeing, a joint Canadian-South African project to address sexual violence against girls. Tugak also worked with her fellow intern from Baker Lake, Tonaya Tagoona, to make a presentation about Inuit and their culture. "[Their culture] is the same as ours ... but different," said Tugak. "They have dancing like how Inuit people have drum dancing." Tugak's internship led her to become a member of Networks for Change and Wellbeing. 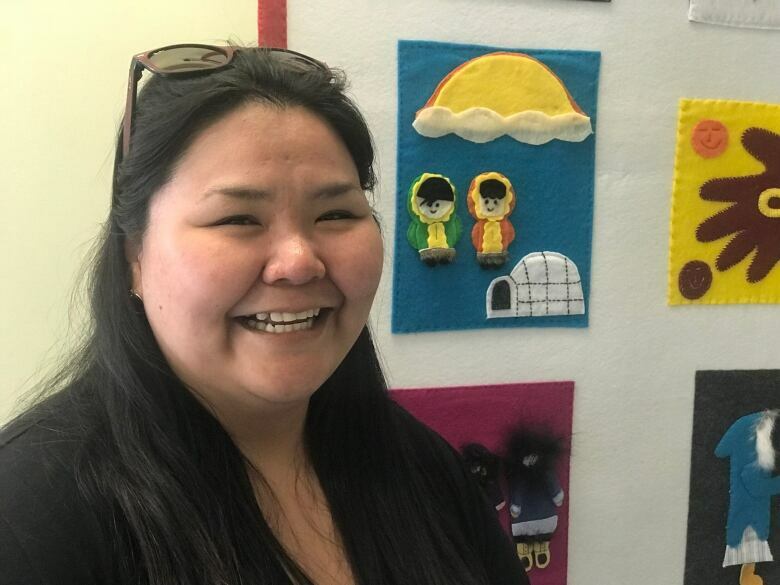 This intersects with her career in Ottawa, where Tugak works in the violence and abuse prevention department for Pauktuutit Inuit Women of Canada. Before they leave, interns get a two-week orientation that includes getting support from elders and community members and meeting the other youth they will be living and working with abroad. "They'll have the opportunity to develop relationships amongst each other so they can each lean on each other for support when things do get challenging," said Potvin. She said this is especially helpful for youth where this will be the farthest they have gone from home or the first time they have left their community. Tugak said her family was supportive. "They were happy and they kept on encouraging me to go out and explore, not only in Canada, but around the world." The orientation also includes information about the country the youth will be visiting. But while they talked about the climate in Durban, Tugak said nothing could have prepared her for the shock of African summer. "You can't imagine the heat until you go there," she said. "I was crying from the heat, laying on the ground," she said, laughing. Tugak said she did go through challenges like homesickness but when asked what the best part of the trip was, she said the whole trip. "Home is always going to be home," she said. "You go back home and everything's going to be the same, just new people in it, families are growing. This internship is a really good internship for you, your community, and your people." This year's application deadline is June 22. Tugak had some advice for new applicants. "Keep all the receipts," she joked. "And record everything you do. Keep a diary, put it on your Facebook, whatever. Keep it with you, or share it with the world." Stephanie Wood is currently an intern at CBC Whitehorse. She is from the Squamish Nation in North Vancouver, BC.